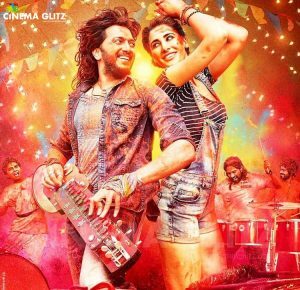 Banjo Movie Review: Banjo, was heavily decorated with Ritiesh & Nargis, but was not played to the right note by Ravi Jadhav!!! What is it about: This film revolves around a girl from New York Christina (Nargis Fakhri) who comes down to India in search a troupe of “Banjo” artists. What happens next forms the crux or the film directed by Ravi Jadhav. Why it’s disappointing: The film in spite of having a scope to explore the genre had little to do with experimentation. It went on to be a total commercial pot boiler, which dives in to capture the nativity of the characters played in the film. And moreover the performances were quite average. Ritiesh Deshmukh being a well-seasoned actor have been wasting his potential in mindless films. He does look right for the fit of “Taarat” character. But the attire was not matched with a performance which was required. Nargis Fakhri, was a mere a glam doll. Who was dressed up skimpily to lure the audience in to an illusion to hide the flaws of her performance. She seems flat during the scenes which required emotions, and it brought down the intensity of the scene. The film had a jittered screenplay, which takes a turn as it wishes and doesn’t actually has a direction. The runtime was less but at time seems like it’s a long film. What to watch out for: The positive points of the film is music, which was perfectly composed with an upbeat tempo. Vishal-Shekar did an amazing job in jolting the tracks which raised the spirits of the audience in the cinema hall and so was the background score. One actor who was pretty good from the lot was Dharmesh Yelande, whose comedy keeps you at bay. The cinematography by Manoj Lobo was delectable which was backed with a decent edit by Devendra. Verdict: Ravi Jadhav, known for his quirky Marathi films, couldn’t pull this Bollywood flick. Film dives in to clichés making a good script drown in vain. If you’re a fan of Ravi’s film might catch this one or a fan of Ritiesh and Nargis. Otherwise not worth a watch. Azhar Movie Review: Azhar, doesn’t quite live up to be a biopic!! !